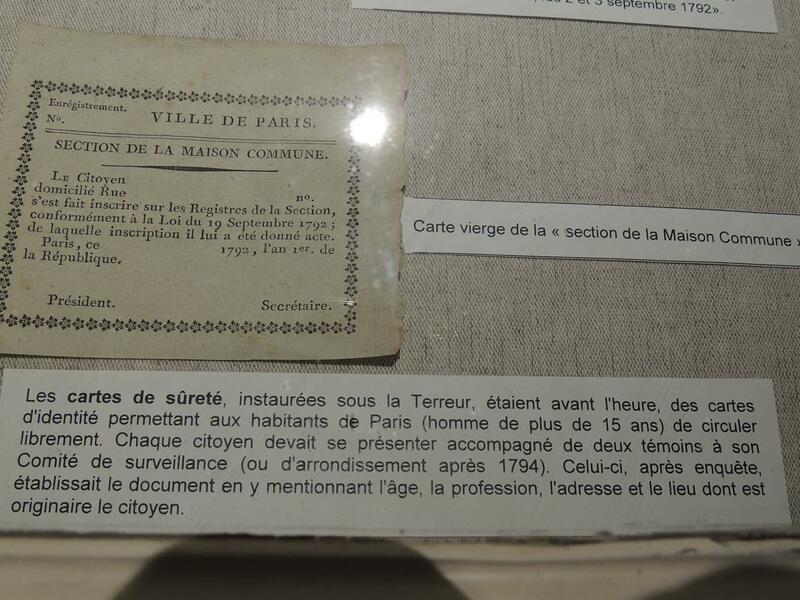 The French Revolutionary Cartes de sûreté were the precursors of modern ID cards. 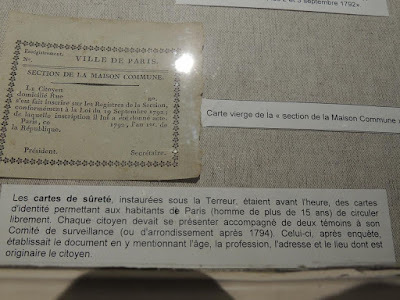 The law of 19th September 1792 "relative to public security and tranquility for the city of Paris" obliged citizens (that is all men over 15 years of age) resident in Paris for more than eight days to present themselves to the Comité de surveillance of their Section within 24 hours, with two witnesses to vouch for their Republican credentials. 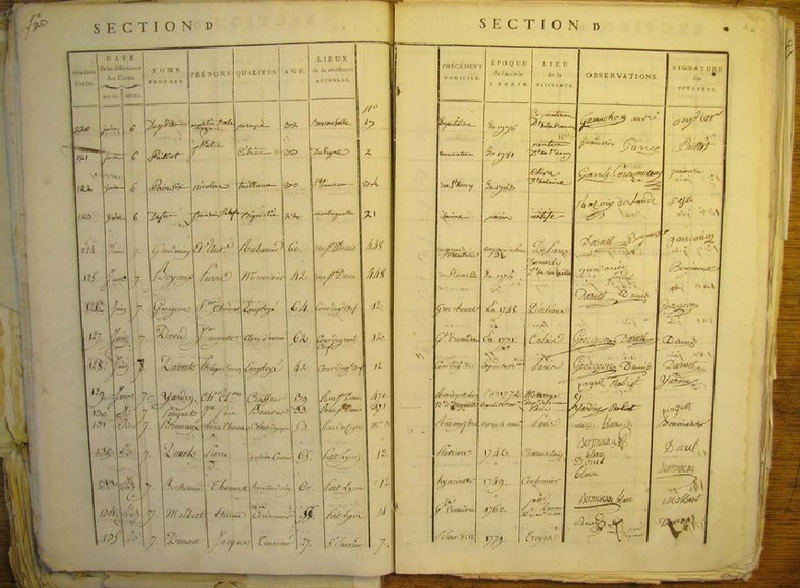 Every man issued with a card was required to register his name, profession, age, place of residence, former address, date of arrival in Paris and date of birth. Not many individual cards survive but the Archives Nationales has complete registers for thirty out of the forty-eight Sections. Records exist for 134,000 citizens out of a total in Paris of perhaps 200,000. The entire series has now been digitised and made available on the website of the Bibliothèque Généalogique de France, a private library, set up in 1986 on the site of the Bibliothèque Thiers. 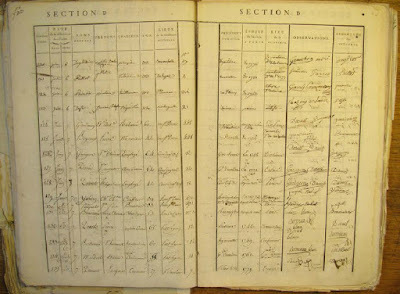 The collection is aimed primarily at genealogical researchers and a small charge is made to access individual records. Olivier Faron and Cyril Grange. "Un recensement parisien sous la Révolution. L'exemple des cartes de sûreté de 1793". In: Mélanges de l'Ecole française de Rome. Italie et Méditerranée, tome 111, n°2. 1999. pp. 795-826.